The device provides a frequency range of up to 5 GHz and a high spectral purity, a continuous frequency or amplitude sweep, a vector modulator with 80 MHz modulation bandwidth, a fast settling time and a high signal-harmonic ratio. Due to its modular construction, options are available for retrofit. Integrated modulation modes are AM, FM, Pulse and I/Q. An integrated baseband signal generator (for e.g. QAM) is available as option. With this, baseband signals can be uploaded into the devices' memory and converted. 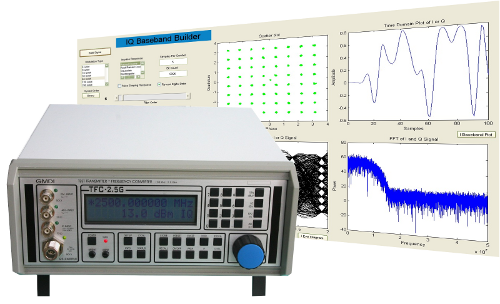 Apart from the device, HUBER SIGNAL PROCESSING offers the unique option for the development of customised devices or for using parts of the technology for your projects.